Come join us at this celebration. 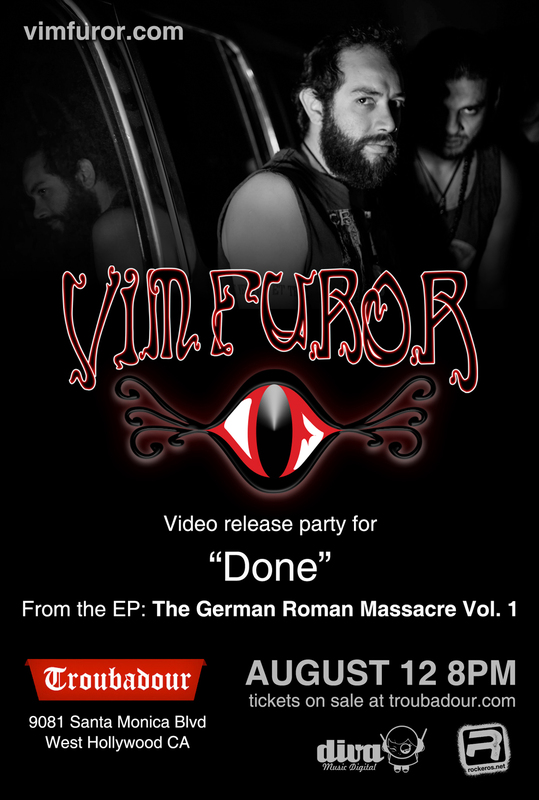 We will be releasing the new video for the song "Done" this August 12 at the famous Troubadour of West Los Angeles. The Latin Grammy Nominees for a rock album Bohemia Suburbana will be closing the event. So dont wait around and buy your ticket. We will see you there. © 2019 Vim Furor. All Rights Reserved.